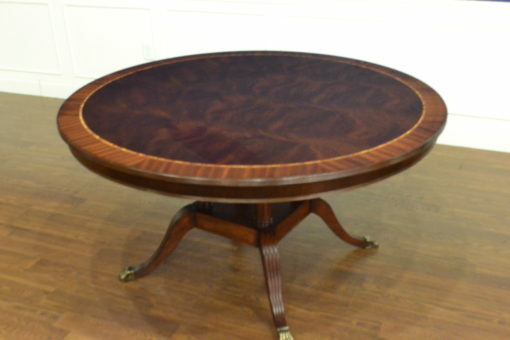 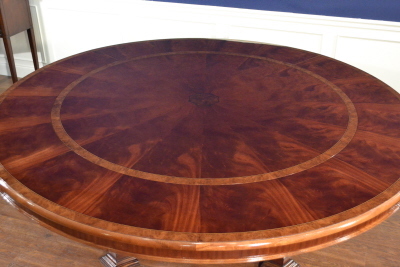 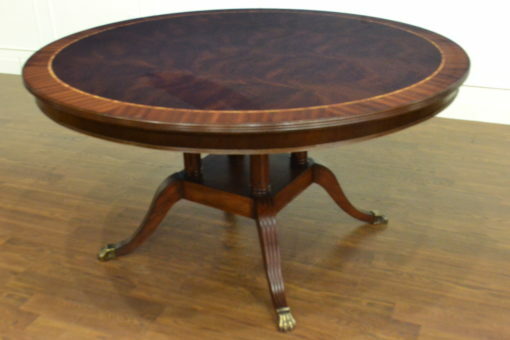 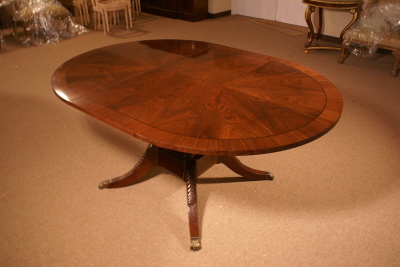 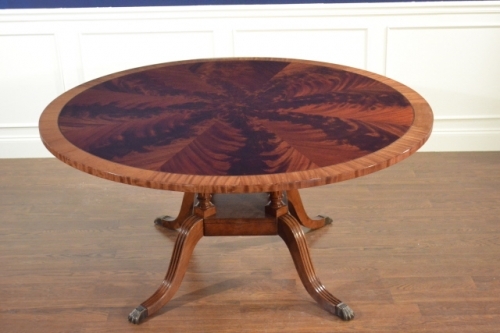 This table features a slip-matched swirly crotch mahogany field with a straight grain mahogany border. 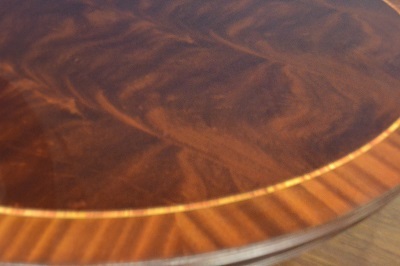 It can be made in various sizes. 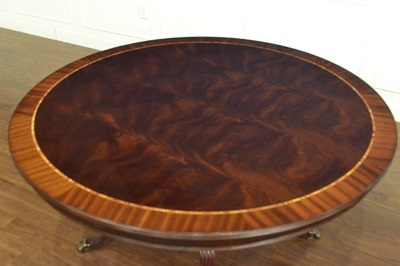 Dimensions (as shown): Diameter: 60 in.